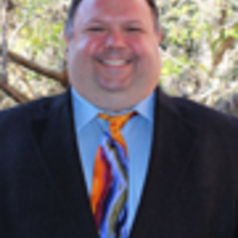 Chris Loschiavo is Associate Dean of Students and Director of Student Conduct and Conflict Resolution at the University of Florida. He is responsible for oversight of the campus response to student behavioral and honor code related issues from cheating and plagiarism, alcohol and other drug issues and physical, violence, dating violence and sexual misconduct. He is also Deputy Title IX Coordinator for Students and also serves on the institution's Behavioral Consultation Team (threat assessment team). Chris also teaches a conduct committee training class each spring semester. Prior to his work at the University of Florida which began in May 2007, Chris served as Director of Student Conduct and Community Standards at the University of Oregon from 1999 – 2007. At both institutions, Chris has overseen major revisions to the Student Conduct Code. Chris has also served as President of the Association for Student Conduct Administration (ASCA), the professional organization representing 3300 conduct professionals at over 1800 campuses across the U.S. and Canada. In his role with ASCA, he has had the opportunity to consult with U.S. Senators, the White House Task Force to Prevent Sexual Assault on College Campuses and the Department of Education's Office of Civil Rights. He has also served as a faculty member of the ASCA Summer Training Academy for Conduct Officers for the last four years and is currently serving as chair of this Gehring Academy.